The notion that heli skiing in Revelstoke is some kind of death defying feat where you jump out of a helicopter on your skis is no more than a widely held misconception. In reality, heli skiing is a perfectly safe, incredibly fun way for a group of ski-crazy friends to have a fantastic vacation together. Heli skiing trips are very well organized and as long as you are a reasonably competent skier, you can definitely have a great time. A helicopter ride takes you up an untrammeled mountain slope where you and your group can exit the chopper on level ground, and then enjoy a pure powder experience with a guide who will ski with you all the way down. There is no skiing experience quite as thrilling to the skilled skier as the experience of flying down the mountainside in pure, powdery snow in the relative solitude and expanse of a coastal mountain range. You could ski every major resort in North American at the best time of year and still not have that awe inspiring moment together, because with hundreds of skiers all trying to carve their own path, it gets crowded and conditions quickly deteriorate. 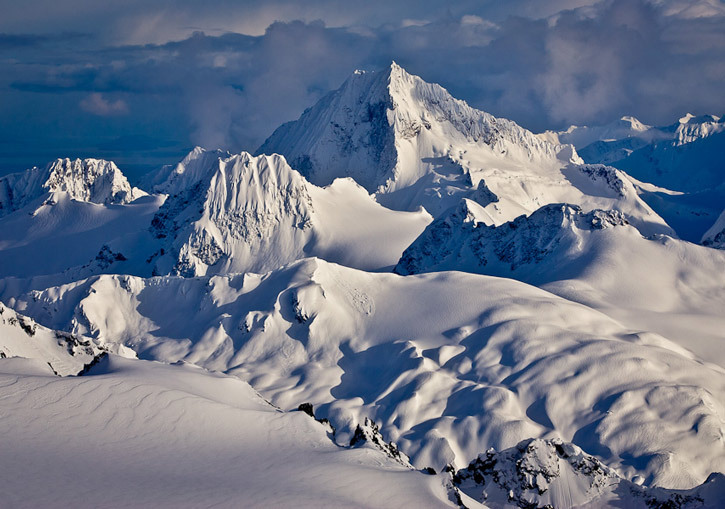 For these reasons and many others, if your group can afford to go heli skiing in Revelstoke or Golden in British Columbia, you should. The region has some of the best weather in the world for heli skiing, with a majority of days seeing clear skies and excellent conditions. 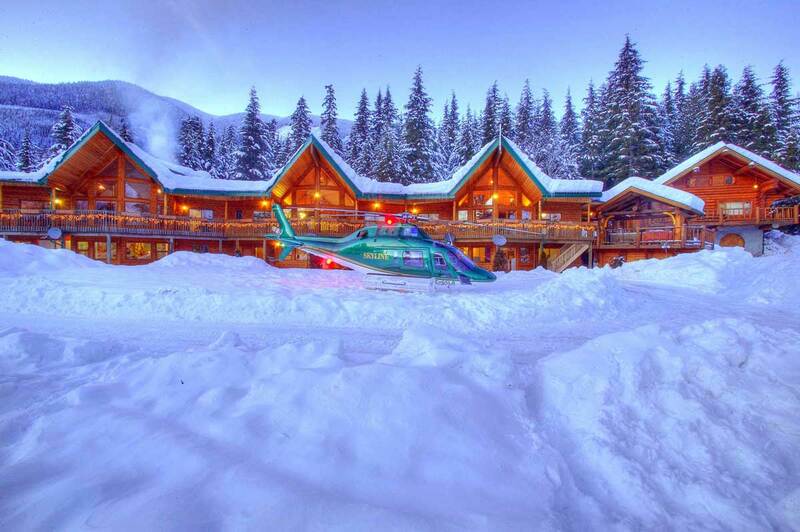 When you plan your heli skiing trip to BC, keep in mind that a great way to enjoy a group heli skiing vacation involves an all-inclusive resort at the bottom of the slopes. Being at the resort together with gourmet meals, comfortable beds and cozy, rustic decor will provide a fun, relaxing atmosphere after a log day of skiing. As a sport, heli skiing offers more skiing per day than a lift-based ski resort, with distances measured in vertical feet — sometimes up to 25,000 feet over a varied number of runs. That’s a lot of ground to cover, and you’ll all be grateful for the chance to rest up and relax at the end of each night before hitting your very own snow-scape again the next morning. As skis and ski technology have become increasingly user friendly, you no longer have to be a group of dedicated skiing athletes in order to have an amazing experience on a heli skiing vacation. Rocker shaped skis have improved stability and support for soft, powdery conditions and allow a skier to skim along through the snow more easily than ever before. While skill and stamina are still important when heli skiing in Revelstoke (or anywhere else for that matter), new technology has made this sport more accessible to intermediate-level skiers who love fresh powder — and that means more fun for everyone in the group.